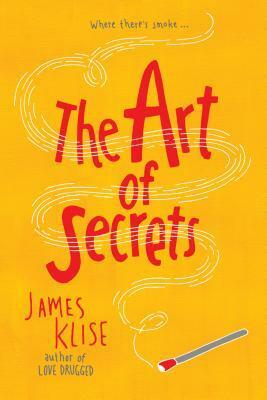 Review: The Art of Secrets is one of those books that I have heard people asking for lately — a book that features a person of color, but isn’t solely focused on the issue of race. Saba Khan’s parents are from Pakistan, but she herself was born in the U.S. When their apartment is burned, some people wonder if it is a racially motivated hate crime, but the book is not only about being a Pakistani American and the issues with that. It also deals with community interactions, an arson mystery, art, relationships and other things too. Saba’s culture isn’t ignored, but the mystery is more of the focus. The format of the book lends itself well to a mystery. The reader gathers information from many characters and sources like an investigator. We see the crime scene and suspects from many perspectives and via different types of documents. I enjoyed the variety of voices and liked reading from so many different types of text. It made the book more interesting to me and kept me wondering which voices were trustworthy. If I have a complaint though, it is that with switching between so many characters, it was difficult to feel a strong connection to them individually. The benefits of the format seemed to outweigh this though. The title fits perfectly. There are many secrets swirling through the story – secret boyfriends, secret art, the arson, and plenty more. This is part of what makes the book so intriguing. One of the secrets we learn about is the hidden art of Henry Darger. On his website, James Kline provides a link to the INTUIT: The Center for Intuitive and Outsider Art where this is an exhibit of Darger’s works. It looks like I have another spot to visit the next time I am in Chicago. Recommendation: Get it soon especially if you are a fan of mysteries.